Finding the right pediatric dentist in Thornton, CO, means doing an extra bit of research as dentistry for children takes a specialized set of skills, a friendly and encouraging approach, and years of experience. Barron Family Dental’s pediatric dentistry services provide comprehensive oral health care and treatment for all ages of children, from infants through the teen years. Parents can expect oral health exams, teeth cleaning and fluoride treatments (as needed), assessment of any teeth straightening needs before they become a problem, and treatment of cavities or oral health problems. 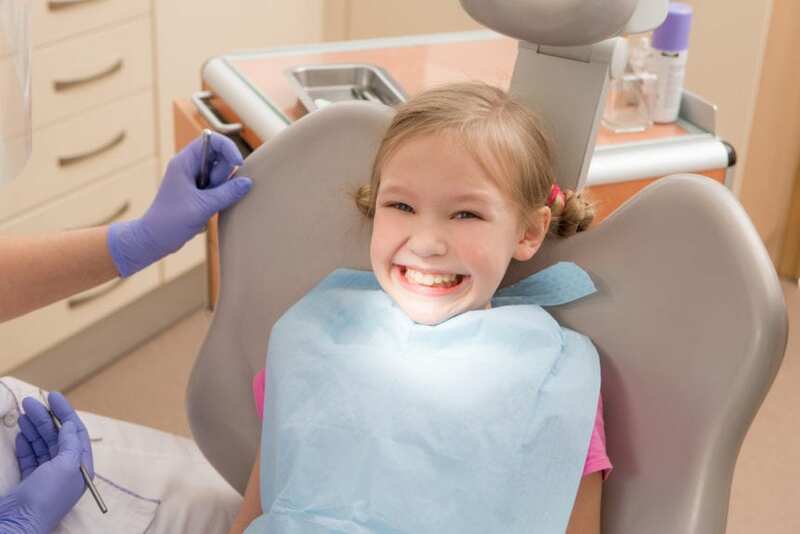 Our child and teen dentistry services also include diet and nutrition recommendations, assessment of oral disease, insight into how other chronic conditions (such as diabetes and asthma) affect oral health and care for any dental injuries. We are also here to answer your dental questions about fluoride toothpaste, X-rays, sealants, mouth guards, and much more! Best Tips for Dentistry for Children: Build Good Dental Health Habits Early! Keeping the mouth clean and healthy leads to a brighter smile, a healthier body, and increased self-confidence. Clean and massage your infant’s gums after each feeding with moist gauze or washcloth to remove any bacteria before they sleep. 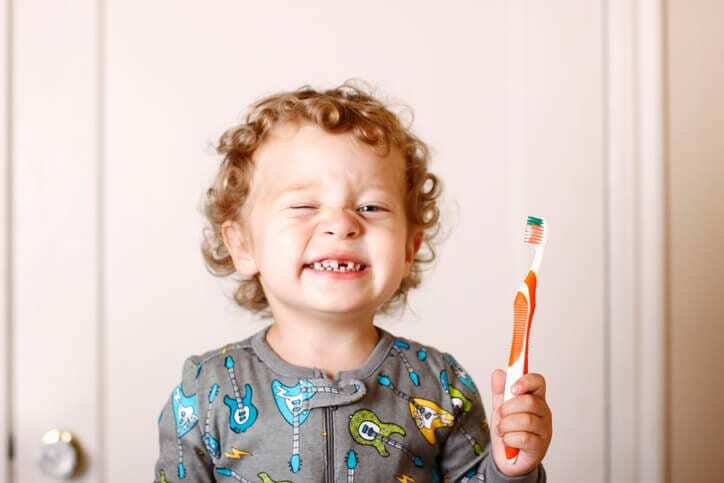 From the sight of the first tooth, introduce brushing with a soft, baby-sized toothbrush and a drop of toothpaste. Book your child’s first dentist appointment by one year of age or within six months of the first baby tooth. Create a morning and bedtime routine where you brush your teeth with your child – have fun and set a good example of this important habit! When appropriate, introduce flossing and include this with your daily dental routine – allow your child to practice on their own under your guidance. Limit sodas, sweets, and sugary snacks and encourage your child to choose milk, yogurt, and foods that promote a healthy smile. Track your child’s daily progress with a calendar or wall tracker and positively reward good oral health behavior! The first year of a child’s life is full of new and exciting activities, including visiting your Thornton pediatric dentist! To build a good foundation of dental hygiene practices, it’s important that children feel comfortable visiting the dentist. The Barron Family Dental team have a few tips on how you can best prepare for the first visit! Start your good dental health habits, as described above, at home and practice them every day. Talk to your child about what an important job teeth have in helping us eat, talk, and smile and how visiting the dentist is another way that we all keep our teeth clean and healthy. Read children’s books about teeth, teeth cleaning, and visiting the dentist to introduce these important concepts. Spend time telling your child what to expect at their first visit with the dentist including that the dentist will look in their mouth, count their teeth, and may want to see how good they can brush their teeth! Call the pediatric dentist and schedule a field-trip trial visit when you can take your child and allow them to see the office, waiting room, and meet the dentist before the first appointment. Arrive early to avoid rushing to the first dentist visit, complete any paperwork online ahead of the appointment, and bring a favorite toy or book, so your child feels comfortable and relaxed. Visiting the dentist is an important part of overall good health. The pediatric dentist and dental team at Barron Family Dental are specialists with dentistry for children and aim to offer the best cleaning techniques, treatments, and services to help maintain the best oral health for you and your family.